Now you can enjoy potato chips without worrying about how unhealthy they are. These homemade potato chips are so easy to make and by baking them on sheets you can make enough for 4 servings at a time. Serve with a homemade dip. You do need a mandoline or slicer to ensure even, thin potato slices. Adjust oven racks, positioning one in upper 1/3 and one in the lower 1/3 of the oven. Pre-heat oven to 500°. 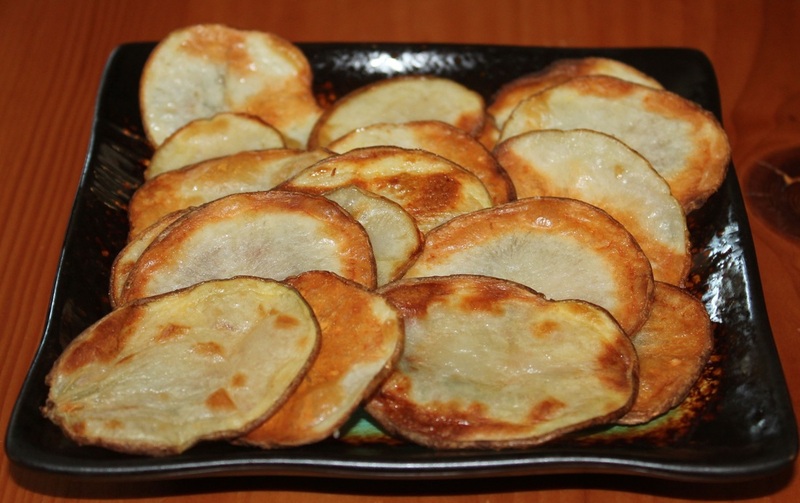 Arrange potato slices in one layer (no overlapping) on the baking sheet. Lightly brush each slice with oil. Place one baking sheet on each rack. Cook potatoes for about 7 minutes, checking to make sure none burn. Switch the racks and continue baking for 5-7 more minutes, checking to make sure they are cooking evenly. Remove any chips they are golden with brown spots. Season to taste.